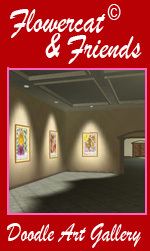 Flowercat © & Friends 3D Doodle Art Gallery! Gail has self-published 6 books: “The Angelic Heart”, “Blowing Kisses”, “An Agricultural Safari in Brazil and Argentina”, “Garden Memories In The Web Of Life”, “To Have A Cup Of Tea With A Cat & Other Cat Tails” and most recently, “Angel Witness”. Gail will soon publish a new book, “The Old Red Canoe & Other Lakeside Tails” which she has written. Gail is a poet and photographer and calls herself, “The Passionate I”. Gail is a storyteller above all else using “life” as her subject matter. Her poetry and short stories have been enjoyed in many circles. It has been a true expression for her highly tuned empathic self. She writes as the messages flow in the middle of the night, while on vacation, while feeling life’s joys and sorrows and jots down titles that need content at a later date. Her “automatic writing” is her gift from God as she sees it. 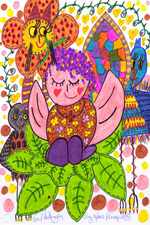 Gail is also a doodle artist and has created many characters, including her first one, “Flowercat”. 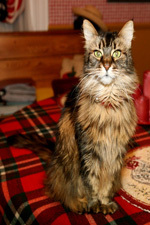 Others include, “Mommy Millie Bear”, ‘Chili Chikka”, “Angelica”, and “Grapeathia” and many other family members. She makes these into greeting cards. Gail also takes beautiful photos in and Elgin County – St. Thomas, Port Stanley and Port Burwell, of tourist attractions and scenery and Cottage Country and in the Kawarthas. These are also made into cards or enlarged to customer specifications. is for those who enjoy the outdoors and love being on the lake in a canoe. The book will feature paintings of Tom Spatafore and Paul Schleusner, both wildlife artists. 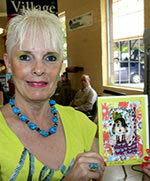 This is a warm-hearted book filled with Gail’s imaginative, whimsical, poetry and doodle art. It will be available in the near future. “Angel Witness” is for those who enjoy the angelic world. This is a coffee table book in both soft and hard cover. It contains poetry, short stories and photos of angels that have been taken around the world, submissions by other colleagues, inspirations, Gail’s paintings, doodle art and much more. It includes the contents of her first book, “The Angelic Heart”. “To Have A Cup Of Tea With A Cat & Other Cat Tails” is dedicated to two cats that were part of her life and both have passed away. They were her babies! This book contains stories and poetry and features a poem, The Cat Who Came To Tea and a story about Jumbo The Elephant and Thomas the Cat and Spook The Tourist Guide. 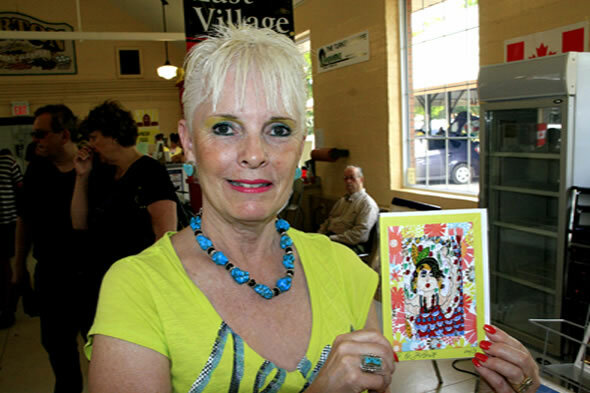 Gail’s art is featured for the first-time ever introducing “Flower Cat” and the reader is encouraged to colour in the drawings throughout the book to personalize it. “Garden Memories In The Web Of Life” contains true stories and lessons from the garden in the midst of personal events and day-to-day living. This is a self-help book and one will also learn about “The Garden” in Huna Philosophy and the power of Therapeutic Touch. “An Agricultural Adventure In Brazil & Argentina” was born out of fifteen days spent on buses and planes with a tour group of agricultural experts, traversing both countries to witness the significant contributions of the Southern Hemisphere in the agricultural game of life. “Blowing Kisses” is a series of poems written in a marathon of fourteen hours while at the cottage as a dedication for her husband’s 50th birthday. Photos taken by the couple are also included. This is a personal tribute to love. “The Angelic Heart” contains poems and stories on the spiritual side of life with a very strong emphasis on the angelic world. 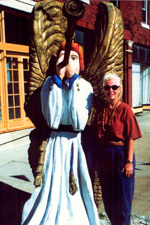 The book includes a parade of angel photos which Gail uses as the basis for a line of angel photo art greeting cards. 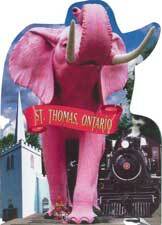 Gail resides in St. Thomas and has a summer cottage in Apsley, Ontario. Gail writes about the feeling she has for life through the eye of an artist and with a third eye, spiritual view. Email: gail@gailmcnaughton.com. Gail has a Facebook page: The Healing Heart Network.